With fall recruitment gearing up, Indiana State University's sororities have another reason to brag: For the fourth year in a row, the Indiana State University Panhellenic Association has been awarded the College Excellence Award from the National Panhellenic Conference. "The sorority women at Indiana State have strong values and are dedicated to living up to the high standards set. Our members work together to improve our community as a whole, not just their own chapters," said Cami Lee of Terre Haute, a biology major and president of the Panhellenic Association. "We also have incredible role models and advisors to look up to who provide endless support, encouragement and guidance." Kaleigh Decker, a senior psychology major and president of Alpha Chi Omega, echoed Lee's sentiments. "The (fraternity and sorority life) office strives to make each organization in our community excel," Decker said. "We have continued to do so well because the chapters in our community truly support each other. We are not afraid to ask each other for advice, because we know we all want what is best for our entire community. We always push each other to do well and acknowledge there is always room for improvement." Indiana State is one of only 27 institutions to be recognized in the Excellence Category this year, which puts the university in the top 4 percent nationally, Mantooth added. "To see firsthand how great the community is and be a part of that growth and development is something I'll always remember as a professional," Mantooth said. 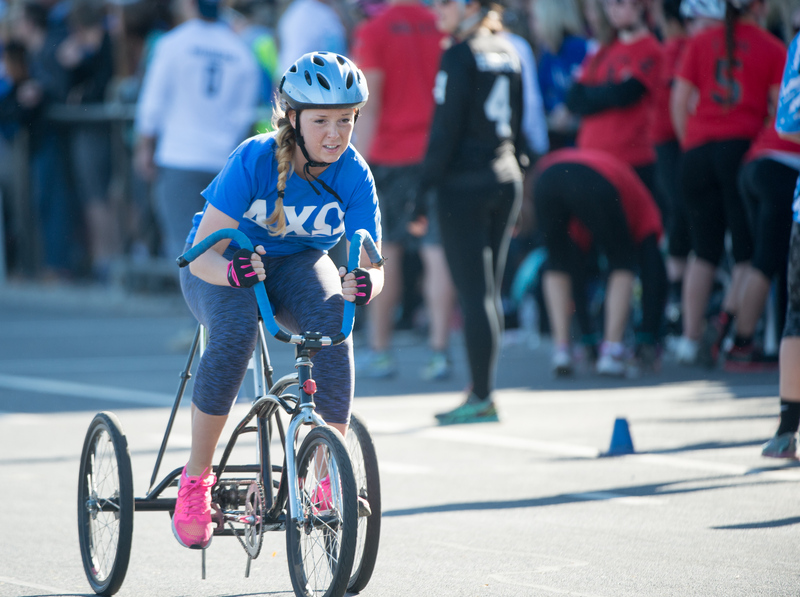 "Fraternity and sorority life at Indiana State has been clicking on all cylinders, and our Panhellenic women play such an important role in not only their success, but all of the fraternity and sorority community's success. 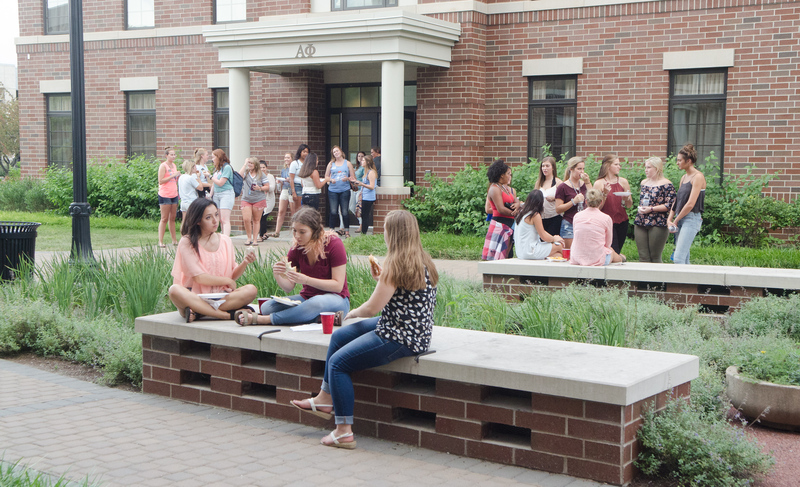 The size of the university's Greek chapters has almost doubled in the past four years, and extra rounds have been added to formal recruitment, which starts Wednesday. "It is easy to see how great this community is and how amazing the women are that make up the community," he said. "It seems to come easy for our women -- they keep doing what is expected and aligning what they do with the chapter's values." The State Panhellenic chapters contributed to the 30,600 hours of service and contributed $95,000 last year. 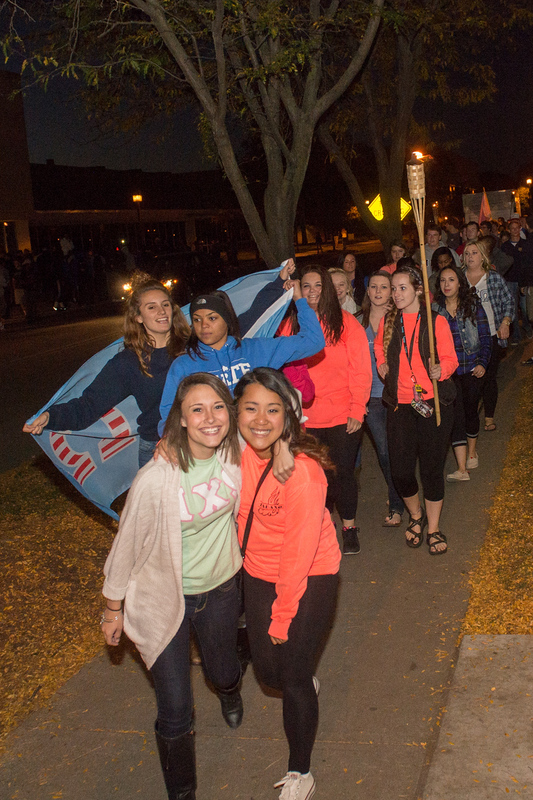 Greek life members at Indiana State average two-tenths higher GPA than the rest of the student body. "I joined because I wanted to meet other women and men who would attempt to make continuous efforts to better not just their organization, but Indiana State, the Terre Haute community and themselves," said Decker of Terre Haute. "I wanted to meet others with different perspectives and learn from them, which is still happening almost every day, even three years later!" The 27 Excellence Award recipients met all seven criteria, which include recruitment, Panhellenic structure, communication with the National Panhellenic Conference area advisor, judicial procedures, Panhellenic programming, academics and Panhellenic community impact and relations. "When I think about what is next for PA, I get very excited. I have no doubt that we will continue to improve and thrive just like we have in the past! I am excited to get started on another successful recruitment season and bring new women into our community at such a strong point in our history at Indiana State," Decker said. "Each year we continue to get better, so I can only imagine what this semester will hold for everyone in this outstanding community!" The National Panhellenic Conference was founded to build cooperation among sororities on campus, and the 39 College Panhellenic Associations being recognized embody the idea that by working together each individual chapter becomes stronger, said Frances Mitchelson, Panhellenics chairman. "Next for our women is to continue on this path and win a fifth in a row next year, but next right now is recruitment - the lifeline of our community," Mantooth said. "Recruitment is such an important aspect of our community and without that growth, we wouldn't be where we are today." Photos: https://photos.smugmug.com/Events/Events-by-Year/2016/Panhellenic-Picnic/i-9Zn3DZt/0/X3/August%2024%2C%202016Panhellenic%20Picnic0947-X3.jpg -- Panhellenic members sit in front of Reeve Hall, the residence hall that houses mostly sorority women. https://photos.smugmug.com/Events/Homecoming/Homecoming-2015/Best-of-Homecoming-2015/i-KR6Cw3R/0/2664x1988/10_15_15_trike_homecoming-4512-2664x1988.jpg -- A member of Alpha Chi Omega participates in the Trike competition during Homecoming 2015.
https://photos.smugmug.com/Events/Homecoming/Homecoming-2015/Best-of-Homecoming-2015/i-dBgwLWz/0/X3/October%2014%2C%202015%20Torchlight%20Parade%201137-X3.jpg -- Members of Alpha Chi Omega walk in the Torchlight Parade during Homecoming 2015 festivities. The Indiana State University Panhellenic Association has been awarded — for the fourth year in a row — the College Excellence Award from the National Panhellenic Conference.